I knew I needed to upgrade, but it all seemed so complicated and I just threw up my hands at the thought of it all. Until Christmas 2005. Santa brought me a digital camera. And it took me until February to figure out how to get photos from the camera — to my computer. Y’all. I don’t even recognize this person I’m describing. Fast forward 10 years and I’m a camera-toting maniac. 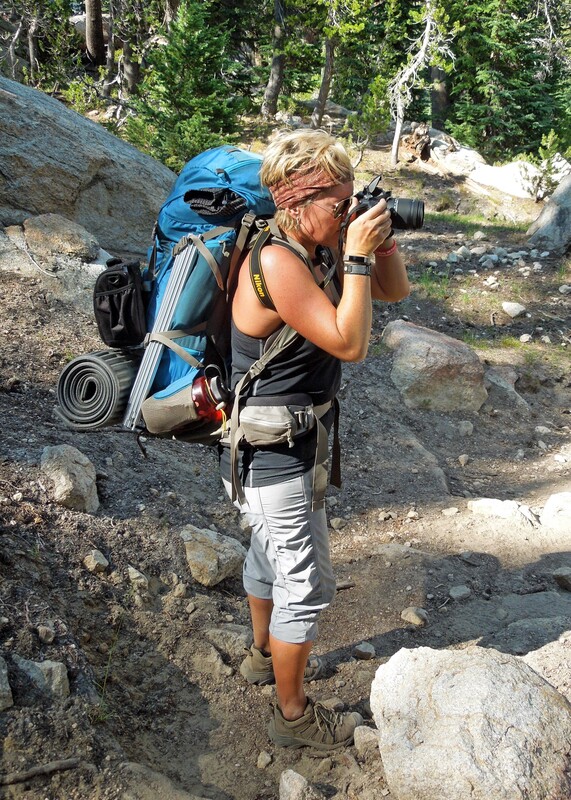 I have 2+ cameras on me at all times, and more when we travel or attend activities as a family. With very few exceptions, I take photos (and file them on my computer) every single day, and I’ve developed a reputation with friends and family as “the one who always has a camera”. Always carry a camera, it’s tough to shoot a picture without one. I often call this my pocket camera, because of how compact and handy it is. This camera is with me every single day — just in case. I keep it charged and in my purse, and I rely on it for the unexpected. Everything from fun moments at work to an unexpected after-work outing with Colt or friends. Most of us rely on smartphones for this — and I do, too — but iPhones have their limits when it comes to quality and I like having this pocket camera as an option. For years, this was THE camera. We carried it up and down mountains, over dozens of miles of hiking trails, and on many a float trip down the river. This is the camera I stick in a Ziploc or a dry bag when we’re on the river and taking the DSLR would make me too nervous. This is the camera that fits perfectly into a cargo pocket of hiking pants so it’s ready in a flash when we’re on the trail. This is the camera Colt carries when we travel together — it’s small and lightweight for his backpack and his hands. Honestly, this is the least used camera I own. It’s a safety net for times I don’t have my DSLR along. We’ve gone through several models over the years but we’re currently on our second Nikon Coolpix in a row. I’m becoming quite the Nikon loyalist and would buy another one in a heartbeat. Bonus: It takes great video! Bottom line: This is the right place to start if you’re new to photography. A good point-and-shoot will give you high quality images and let you dabble with simple settings without being intimidating. It’s also a good backup for times you don’t have your DSLR. This is my favorite tool in the box. I carry a Nikon D5300 and I’ll tell you the secret — CARRY IT. I know so many people who invest in a DSLR wanting to take better photos and then they leave it at home because whatever they’re doing doesn’t seem worth the trouble of pulling out “the big camera”. 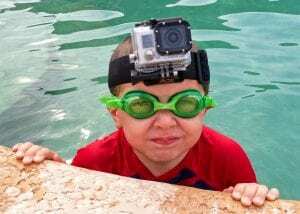 The only place I haven’t taken this camera since I bought it is on our water-based activities in Belize this summer. There are waterproof housings on the market, but the price isn’t worth it to me when there are other cameras made for water (see GoPro, below). So other than water — this camera is with me. It’s in my purse on the way to Colt’s flag football games, it’s around my neck backpacking the Pacific Crest Trail, it’s in my satchel walking around NYC, and it’s what I reached for when our garden finally produced its first tomato this summer. Honestly, the secret is getting comfortable with your camera — and valuing the quality of the photos over the few extra steps it takes to get there. 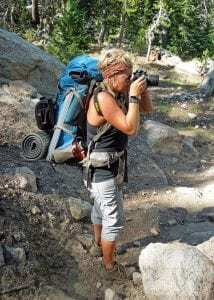 I once told a fellow backpacker, looking for advice on whether the camera was worth the weight — “I bought the camera to take photos. If I don’t have it with me, I can’t take photos.” For me, it’s that simple. Bottom line: This one is an investment of both money and energy. If you’re not ready to spend a few more dollars and more than a few more hours getting the right lenses and learning the right settings — don’t do it. Get a point-and-shoot you feel comfortable with and will actually carry. And if you’ve already got a DSLR sitting on the shelf — dust it off and commit to using it. You might surprise yourself. Anybody with a smartphone has a camera in her pocket, and I’m no different. I use my iPhone in a pinch and it’s currently full of photos of last weekend’s bike ride on the trails with our buddies. The best part of using an iPhone as a camera is the convenience — you can’t beat it. It’s in your pocket already and it only takes a single swipe with your thumb to be ready to snap away. Social media urgency. Yes, if social media is the immediate goal — then I’ll snap a photo with my iPhone and go with it. Nonsense photos and videos to send my family/friends via text. You know the ones. A silly happy birthday message or photographic proof of “you won’t believe what I just saw at Walmart”. Discretion. Sometimes, pulling out a camera would draw attention to you when you’d rather just be on the sly. In a restaurant, for example. Or if you’re attending a conference or a speaker. Bottom line: iPhone cameras get better all the time, and I’ll continue to rely on this in a pinch. But it’s not my go-to for quality photographs. This camera has changed the game for travelers and adventurers like me. What once either required expensive waterproof equipment or simply couldn’t be photographed — is now accessible with the use of a tiny GoPro and a few accessories. I read once GoPro was invented by surfers looking for ways to capture what they saw and experienced in the waves, and what inspired them then is still what makes this camera great. GoPro can go everywhere. I got one years ago when we started hiking and backpacking more. It was more of a novelty at first, and we used it for fun timelapse videos and swimming pool footage. But it became a go-to for times when we absolutely needed both hands or when conditions like a pop-up July graupel storm make handling a camera the last thing you want to worry about. Most recently, I used a GoPro (I upgraded from the Hero3 to the Hero5 this summer) to capture a day of snorkeling in Belize and I’ve never been more in love with its versatility. We took photos, we captured video, and it goes in and out of water seamlessly. I’ve read articles about adventure travelers using ONLY a GoPro and I’m not quite ready to go there, but I can see the case for it. I’m too married to my DSLR to walk away from it for travel altogether, but when it comes to water — there’s no substitute. Bottom Line: If you want a waterproof, weatherproof, dirtproof, kidproof camera for travel or activity — you can’t beat a GoPro. I wish there were an updated word for a camcorder. Or maybe I’m the only one who hears “camcorder” and still thinks of the shoulder-supported, full-size-VHS-recording contraption my parents had in the early 90s. Camcorder it is! And the Martin family of 1990 wouldn’t even believe the punch one of these tiny things packs. I have a Canon Vivia HF R80, and it’s a good little camera. I’m still firmly on the novice end when it comes to video and I’ve never taken this camera with me when I travel because my DSLR will take video in a pinch (though it’s not ideal) and I can’t justify taking an extra camera that only does this one thing. If and when I start to take more video, I could see bringing this along, but for now it gets a workout around here — ball games, Gabby the Cabbage updates, and other needs for my budding YouTube star. Honestly, I’m trying to get more comfortable with this camera so I’ll use it more. Bottom line: I’m a beginner, but video is a powerful storytelling medium and I’m committed to getting better. There are many, many things that are just better captured on video — and a camcorder could be a great addition to your gear. It’s cliche, perhaps, but I believe it anyway. The best camera is the one you have with you. 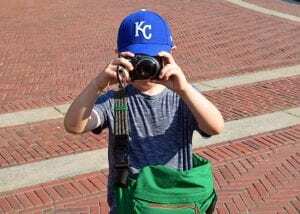 I’m an advocate of having the right gear for the right situation — and that includes photography — but everybody has to start somewhere and if capturing your life through a lens makes you smile then DO IT. Just start.